May - August - denně mimo Po 9.30 – 17.30 hod. April, October - So, Ne, svátky 10.00 – 16.00 hod. September - So, Ne, svátky 10.00 – 17.00 hod. Kunětická hora is located north-east of the city of Pardubice. It is one of the most significant features of the whole region. It is believed that the castle was founded during the 13th and 14th centuries. 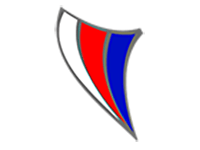 During the Hussite war period it represented one of the Hussite strongholds. 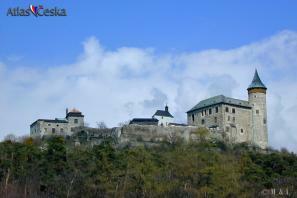 In the 15th century the castle changed hands again, this time it was the Czech king Jiří from Poděbrady. During the thirty-years-war it was conquered by the Swedes and burnt down. After that the castle was abandoned and started to decay. However, it was reconstructed in the 20th Century and it is now open to the public. You can see the Knight's hall, castle chapel of St. Cahtarine and the cellars. If you want to enjoy a truly great view it is worth climbing the castle tower!